Disclosure: I received the Cape Cottage for review. All opinions are my own. Keeping my kids entertained is a huge part of my daily life. While I love the idea of keeping my kids busy so I can attend to other parts of my life, I also want my kids to develop their imagination and engage in creative play rather than just plant themselves in front of mindless hours of television. Luckily for me I am able to rely on Little Tikes to constantly fill my needs as a parent and entertain my children through all their stages of growth. 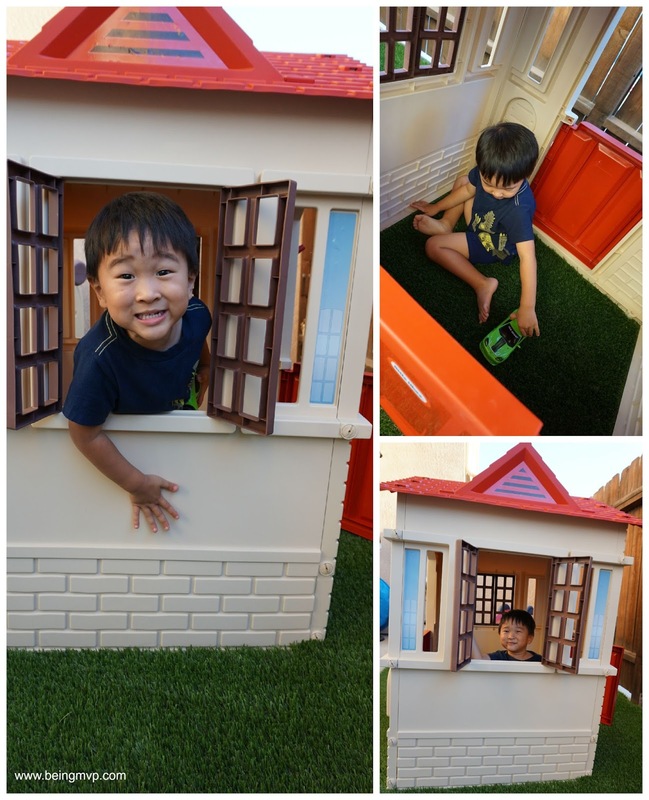 Little Tikes’ Cape Cottage Playhouse is perfect for both my kids. The Cape Cottage Playhouse is a very simple concept, but provides hours of fun for my children as they play pretend. Despite the look of the cottage when it arrived, I found it extremely easy to set up and have my children using it soon after opening it. I love the details the Playhouse features with brick designs, modern windows that open and close, an arched doorway and a roof that is also individually outlined. 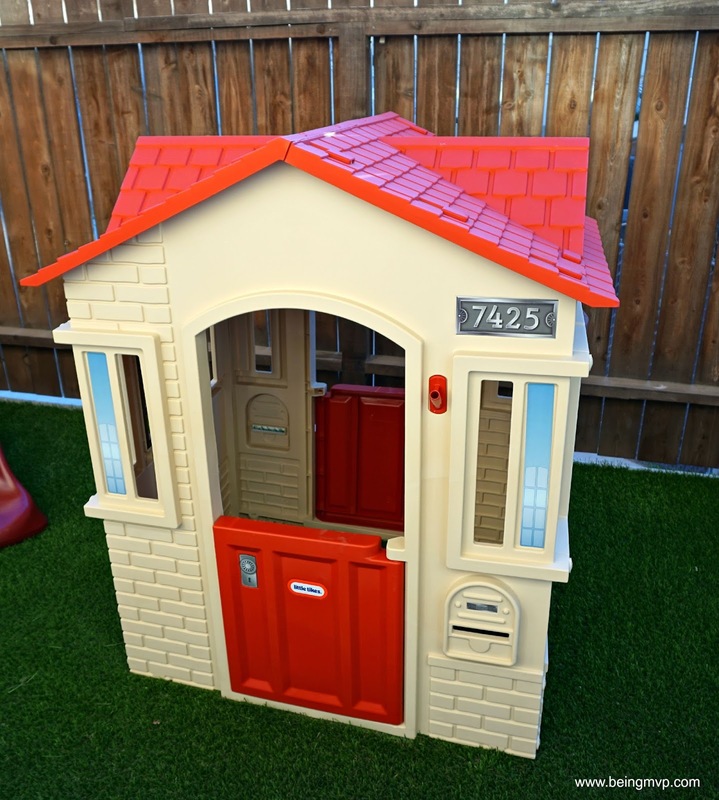 Additionally, the contemporary looking Playhouse features 2 working doors, a mail slot, and a flag holder. It can easily be set up either indoors or outdoors as it is constructed of durable material suitable to withstand the environment and weather. It’s great for my kids to play together or individually as it has plenty of space and also can be a fun group pretend play activity. I’m easily able to keep them busy and get work done without having to worry that they’ll be bored and calling me soon. Instead, I find I have to call them several times before they leave their cottage. The Cape Cottage Playhouse fosters a great deal of creativity and imagination. My children are excited to create their own “mail” to deliver and receive as well as heading to the store for the perfect flag to hang outside. Like many Little Tikes toys, The Cape Cottage Playhouse is a great way to entertain and develop your child’s ingenuity. It’s an attractive addition to your house and makes for a terrific gift for children and parents. 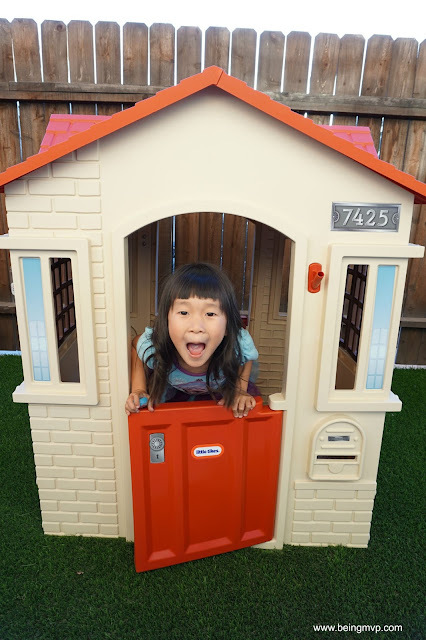 Have you been looking for a playhouse for your tot? What do you think about the Little Tikes Cape Cottage? Oh how fun! My nieces have an older version of this and are in it all the time! We love Little Tikes products and buy them yearly usually, until our kids were 3 or 4, and now we have an infant again we will do so with him. This cottage looks like fun for kids! Cape Cottage Playhouse, how cute is that! Gift idea for nieces and nephews! We had a playhouse at my parents' for 20 years. Those things last forever! I love the new style of this one. After 2 decades, it's probably time to replace it. I want that for my sister. This is adorable to keep out in your yard! I love the little mail slot. That playhouse looks like a blast!! My kids are too big for it, but that's something I'd buy if they fit! That is such a cute cottage! My grandsons would have a blast playing and using their imagination in this cottage! They look like they're having great fun in that house! We have a similar one and my littlest guy enjoys playing in there. Yes, my kids love our current play house, but I have been looking to upgrade! I like the simplicity of this one! I love play sets that allow kids to use their imaginations. This little house is the cutest! SO cute!! I want to buy one like this for my little guy! Love that it is quick and easy to put up. Bet my 2 yr old would love this. I love that flag holder and the mailbox features. Oh my goodness my toddler would LOVE that! I need to look into getting one. What an adorable play cottage! I love that it's not huge, so that if you have a smaller yard it won't take over!